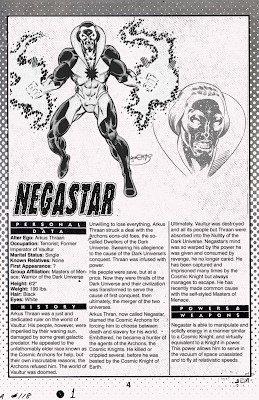 From the Sorcerer's Skull: Negastar! Jim "Flashback Blog" Shelley and I are working on a comic (and possibly a related rpg project) with artist Chris Malgrain. 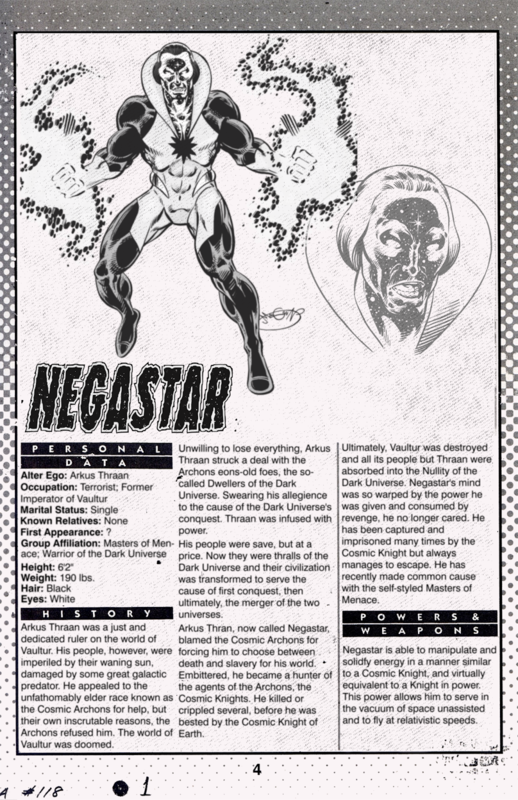 Here's a DC Who's Who style entry for Negastar, the first of the character designs completed. The text is semi-accurate, semi-placeholder, and as such is subject to alteration. There will be game stats at some point for this guy, but not today! I like it. Also, love the classic Who's Who -- The Definitive Directory of the DC Universe template.